The sport of Archery has become very popular in American culture in the past few years. This is largely due to many of the movies such as the Hunger Games where the sport was a key component of the film. Few however know the history of archery and how it has arrived to where it is today. The first know use of bows and arrows for any purpose is dated as far back as the Stone Age, or more specifically the late Paleolithic era. There have been many bows found dating back to this time in European countries such as Denmark. At this time, bows and arrows were used typically by hunter and gather societies. This was often the most effective way to take down an animal, and was the most effective way of hunting for centuries to come. Not long after societies began to use them for military purposes. Many of the most successful armies in earlier centuries such as Persian, Japanese and even Roman armies were successful because of the large amount of archers in their military. It was not until the last few centuries that this use of bow and arrows had become almost extinct. In fact the last known society to use bows and arrows as weapons were Native Americans in the 1800's. Although it was greatly used as a weapon, archery was also seen as a special skill for sport even in these early times. Many different societies would hold competitions and tournaments around the sport and that has continued even today. For instance, archery is now a consistent event at the Olympics. It first appeared there in the 1900 Olympics but then went away until 1972 and has been there since. Many nations world wide have competed at the Olympics in archery, with Korea and the United States being by far the most successful. 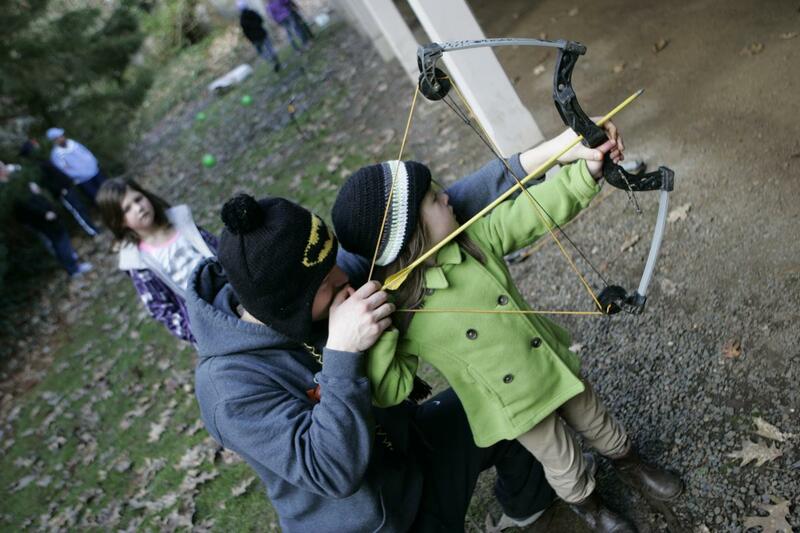 Today at KidSpirit we now offer archery as a program for kids. This is something fun and unique for the kids that it is hard to get experience at many other venues. It is a great chance for children to experience a sport that is rising in popularity and maybe find there next great passion! We offer many different types of bows from including composite and recurve bows and offer many different targets and practice for the participants as well. Our classes are offered on Saturdays for ten week sessions at a time and are split by age and skill. If you are interested in getting signed up, contact KidSpirit for more details and information so we can get you started!